Norlift Limited can now offer a full in-house forklift truck and materials handling equipment refurbishment service to suit all individual customer requirments. From a basic service and respray to a complete strip down and re build replacing all worn parts as necessary "make your forklift look and drive as new". If necessary we will replace all worn forklift parts as necessary and make your fork truck look and drive as new. We offer everything from a basic service and respray to a complete strip down and rebuild. 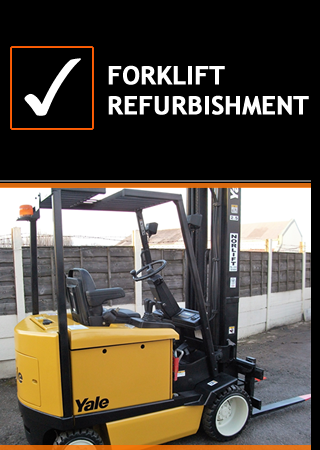 Contact Norlift Limited for much more about all of our forklift refurbishment.